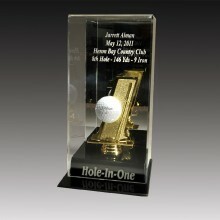 Check out our floating golf display case. 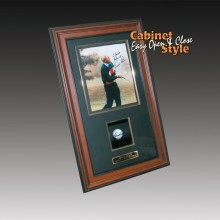 It is US Patented and one of 8 floating displays designed by Caseworks. 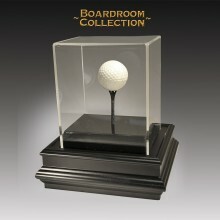 The unique design elements create the optical illusion of the golf ball floating in thin air. This is a head turner and a great conversational piece. It features a black acrylic base and a clear acrylic lid.